New addition to leg piece. 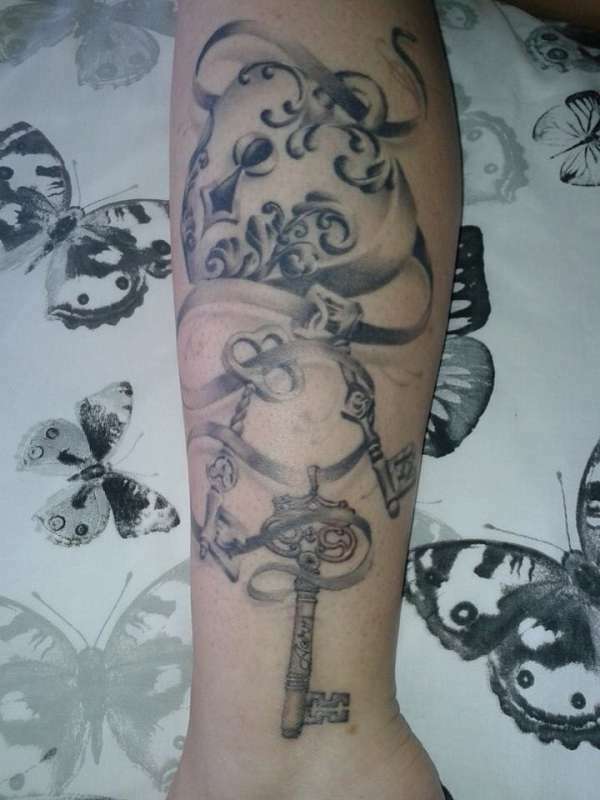 I had another key added to my original piece as I had my little boy five months ago. His key has his name in it (Aaron) the other key has A for my daughter and the key with the letter G is for my husband. It was done by lianne moule of immortal ink, Chelmsford UK. Im not one for locks and keys but I LOVE this! Very well done! Very pretty. Kept my interest to keep looking instead of just clicking away.